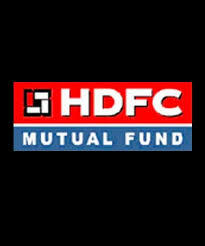 HDFC Mutual Fund has announced the changes in the benchmark index of HDFC Short Term Plan as well as HDFC High Interest Fund - Short Term Plan and the Changes. Accordingly, HDFC Short Term Plan will be benchmarked with CRISIL Short Term Bond Fund Index and HDFC High Interest Fund - Short Term Plan will be benchmarked with CRISIL Short Term Bond Fund Index. While as per the existing Benchmark Index, HDFC Short Term Plan is presently benchmarked with CRISIL Liquid Fund Index and HDFC High Interest Fund - Short Term Plan with CRISIL Composite Bond Fund Index. HDFC Short Term Plan is an open-ended income scheme with an investment objective to generate regular income through investment in debt securities as well as money market instruments.